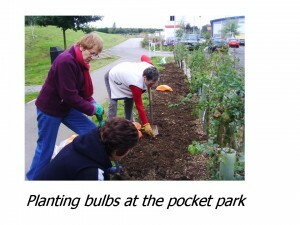 We have been involved with supporting the pocket park for a number of years. We have provided plants, shrubs and bulds when required. But our major involvement is joining in on the work days where we help with the planting, weeding, and litter picking.